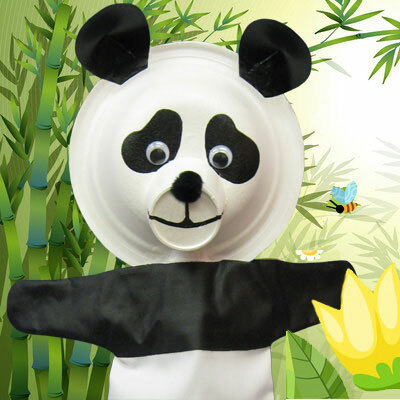 Home > Blog > Visual Arts in Education, Earth Day, Puppets > Why do pandas eat bamboo? Giant pandas are bears, hence carnivores. But their main food source is a plant: bamboo. And the disappearance of bamboo, due to the clearance of forests, is one of the most important factors threatening the survival of pandas in the wild. 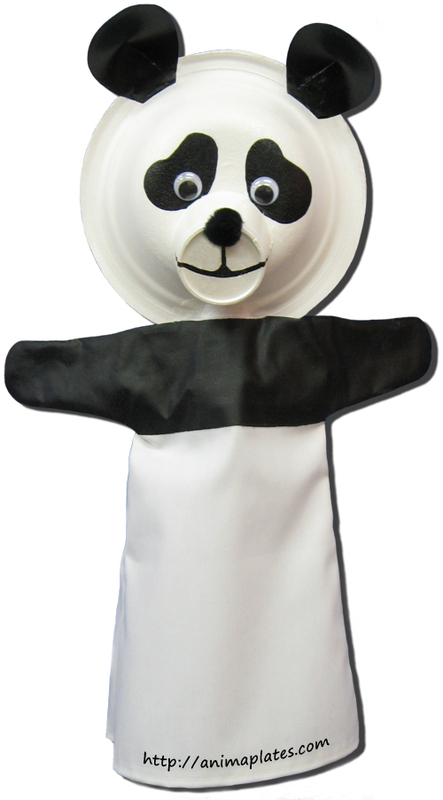 So how come that the panda, that like all bears should be carnivorous, got used to a vegetarian diet? The most likely explanation comes from the study of the panda genome. Researchers have found that pandas lack the gene required to be able to taste the flavour of meat! That would explain why pandas eat plants, and they sure developed a marked preference for bamboo. But since their carnivore digestive system is not well suited to digest plants, pandas must ingest large quantities of their favourite food and they take a long time to digest it. Since last week, there are two Chinese pandas in the Toronto Zoo. They cannot be seen yet because they are in quarantine after their long voyage by airplane, but as of May 18, 2013, visitors to the Toronto Zoo will be able to see the two giant pandas. Did you know that there are only about 1600 pandas remaining in their natural habitat? Earth Day is a great opportunity to talk to children about endangered species. A nice way to illustrate this topic is with puppets that represent the endangered animals. 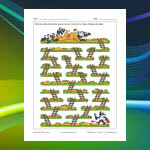 The kids can make the animals speak and have them explain the danger they are in.